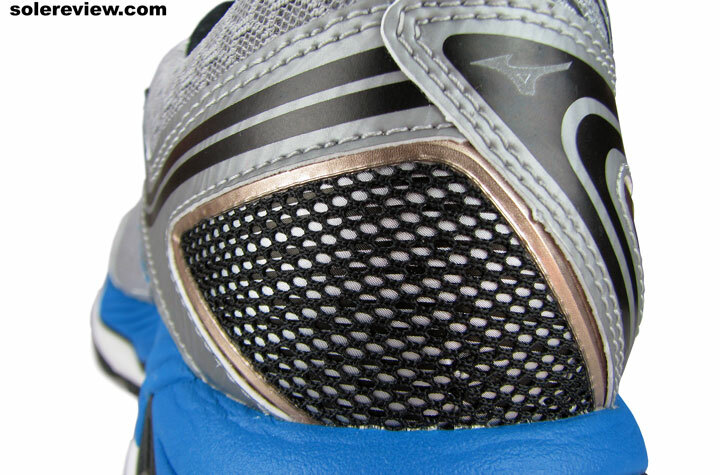 Upper: Spacer mesh, synthetic leather, high frequency welded urethane. 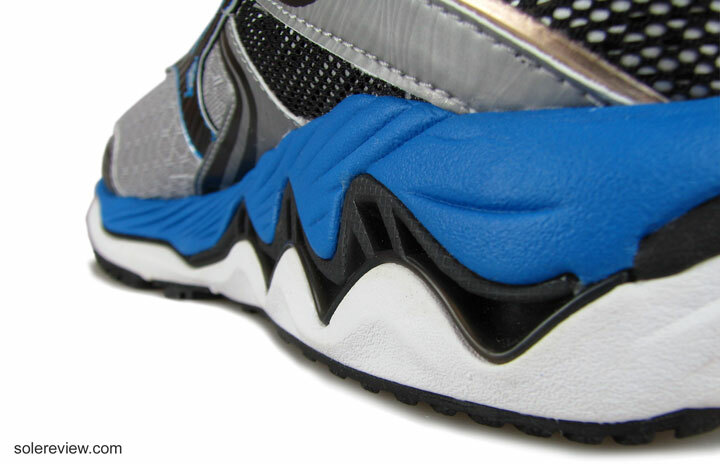 Midsole: Dual density compression molded EVA foam, full length plastic Wave plate. 12 mm heel to toe offset. Outsole: Carbon rubber under heel, blown rubber under mid and forefoot. Widths available: Regular (reviewed), wide. The Paradox is meant to be Inspire 12's bigger brother, and it is. But given Mizuno's idiosyncratic ride manners, one could mistake it for a built-up Wave Rider 19 too. That is a paradox, is it not? Count the number of Mizuno models online. Very focused and small selection, you’ll discover. 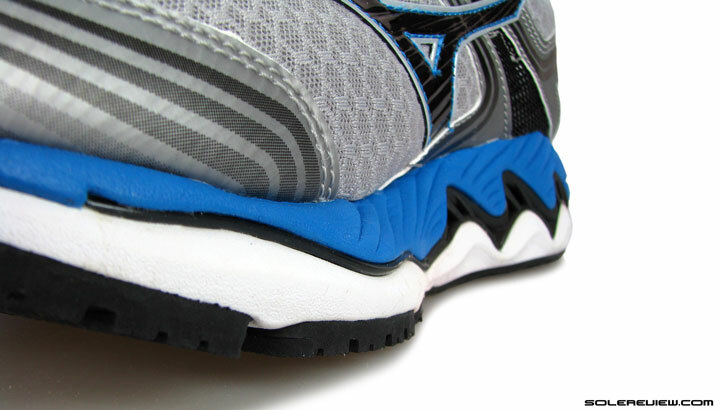 Of all mainstream running brands, Mizuno has the narrowest assortment of shoes on offer. Just how small? Around half of Brooks or Saucony’s catalog size, and if you compared Mizuno against New Balance or Nike’s product line, then nearly one-fifth of their model count. Which kinda makes sense. What makes a Mizuno a Mizuno? 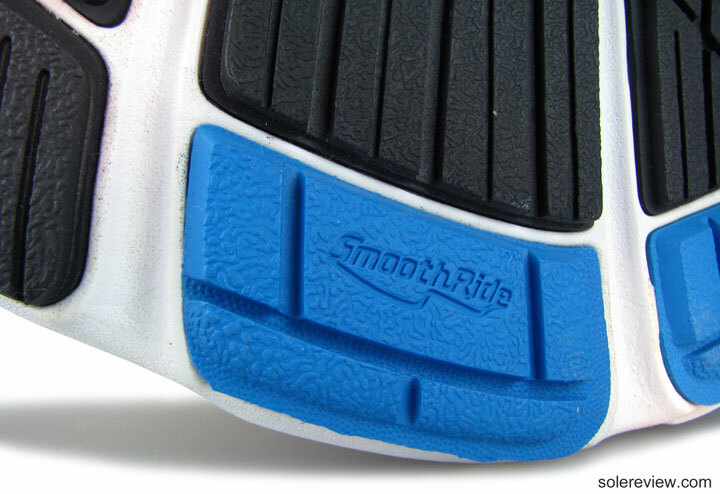 The Wave plate embedded in the midsole, and the resulting ride experience, of course. Because the near entirety of Mizuno assortment is founded on the Wave Platform, a familiar ride quality runs common across models. By using various versions of the stiff Wave plate – like the double Wave of the Prophecy to a scaled down version on the Hitogami – Mizuno has successfully managed to drive separation between different models. But one can only do so much with a solitary cushioning tech. Is it any surprise that post-Boost era, adidas has one of the smallest product lines? Mizuno seems to be aware of that limitation, and hence the super tight assortment. So while Mizuno’s unique firm ride and a relatively tiny range of shoes does not do the sales numbers any favors, there’s no denying that there’s crystal clarity in what each model stands for. Of course, like any other brand, there will be changes in models across seasons. Some will like it, some won’t, but that’s besides the point. That is true for all brands, so why single Mizuno out? This is how Mizuno goes about making a ‘stability’ shoe. Instead of a medial post, it just changes the Wave design on the medial side. The ‘waves’ are more pointy. 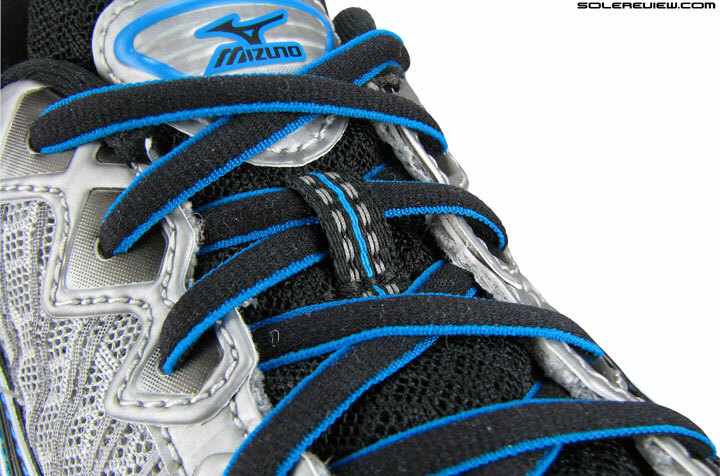 As is the norm, Mizuno broadly classifies its shoes under the neutral and support categories. Only that the line between these two isn’t as deep. Given the fact that Mizuno eschews the use of a firmer medial post, the ride quality is strongly accented by a neutral cushioning feel regardless of the shoe category. The only difference is that some Mizuno shoes feel slightly more stiffer or supportive than the rest, but you’ll have none of the ‘motion control’ design which runs rampant in other brands. Motion control is the design principle which makes the distinction between the medial and lateral side of a midsole very clear – by using a combination of firmer and softer foam. This is meant to control the foot movement during running, at least in theory. 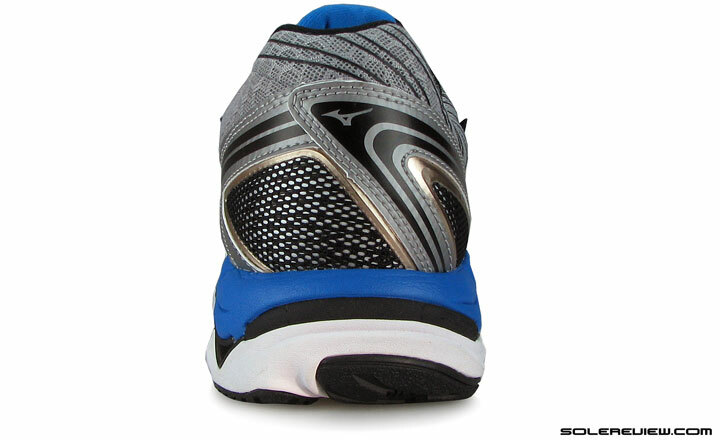 The Paradox is Mizuno’s top stability shoe, a more supportive version of the Inspire 12. 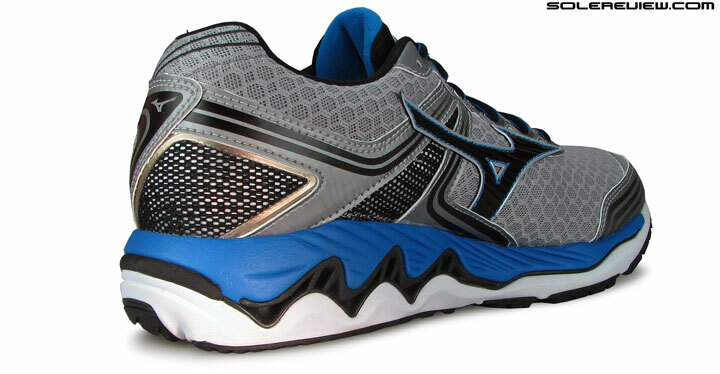 The $135 Wave Paradox 2 occupies the upper tier of Mizuno’s support category, with the $120 Wave Inspire 12 below it. The new $110 Catalyst is a further rung below, and is positioned as an entry point into the category, albeit with race pretensions. The Catalyst’s positioning (don’t believe the ride quality can compare, though) appears similar to the New Balance 1500 with its speed oriented design but with a small medial post. Most Mizuno’s, regardless of their stability or neutral positioning, have different medial (inner) and lateral (outer) Wave plate designs. Pictured here is the Paradox 2. Click to expand image. 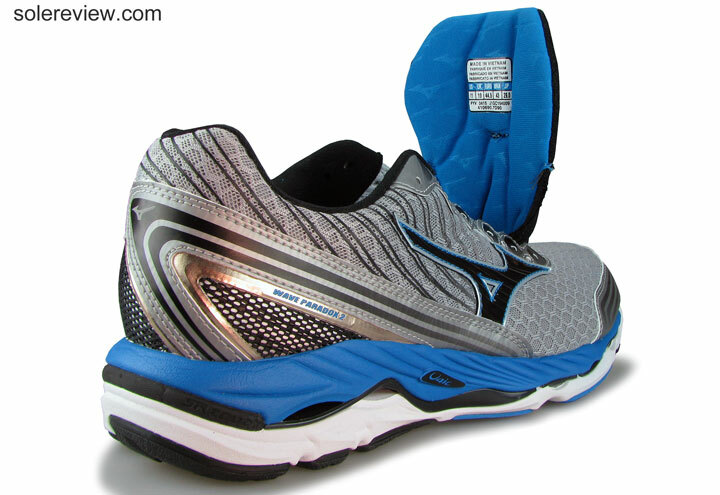 Mizuno’s marks its support or stability models by changing the Wave plate pattern on the medial and lateral side. On the outer side, the Wave plate is molded in a gentler fashion, while the medial sidewalls sports a more aggressive Wave curve. The idea, like any stability shoe worth the midsole it’s built on, is to make the medial side more resistant to deformation, hence reducing the rate at which the foot rolls in. We are skeptical of the ‘one approach fits all’ strategy of recommending shoe categories as per arch type though. We voiced our in-depth opinion on this topic in our review of the Nike Zoom Odyssey. There is plenty of foam layering above and below the Wave plate, so that keeps it from feeling invasive. But you have to remember that like every other Mizuno shoe, the Wave plate is sandwiched between two chunky layers of midsole foam. So the aggressive design of the medial side wave does not correspond to an equally aggressive effect during actual runs. You do sense the Wave plate on the inner midsole being slightly harder, but in no way does a Mizuno behave like a conventional stability shoe. A good example would be the ride difference between a neutral Wave Rider 19 and the Inspire 12, which is meant to be a support shoe. You can’t really tell that the Inspire 12 is actually a support version of the Rider 19; it seems the other way around since the Inspire 12 rides softer. This held true for the 2014 editions too, namely the Inspire 11 and the Rider 18. The Paradox could be mistaken for a beefed-up version of the Rider 19, if nobody told you that Paradox 2 was meant to be a support shoe and Inspire 12’s bigger brother. In essence, that is how the Paradox should be treated. If someone likes either the Rider 19 or the Inspire 12, and does not want to go all the way up to a Wave Creation in order to experience a full length Wave Plate, then the more supportive Paradox is worth a look. 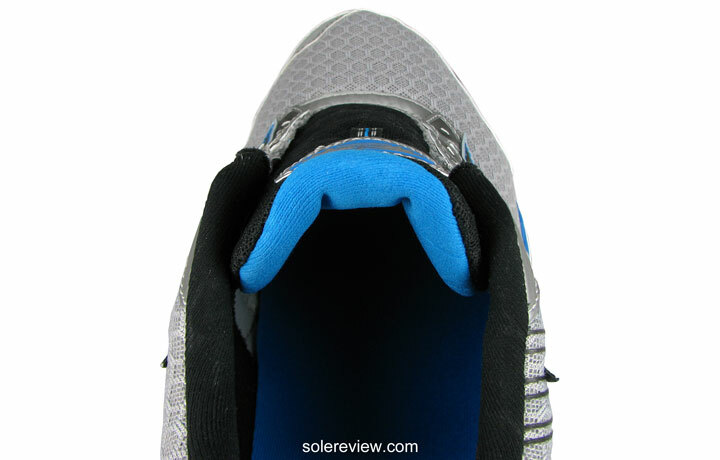 The Wave Plate extends from the tip of the toe to the heel. This is similar to the Wave Creation, and this makes the forefoot firm and rigid. That bodes well for transitions, however. 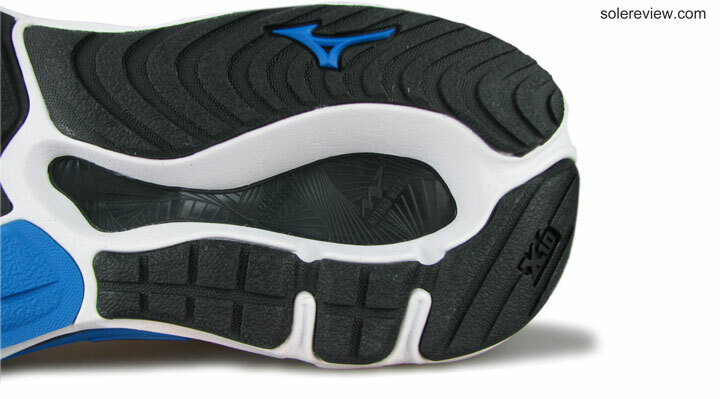 Much like any other Mizuno, the Paradox has a plastic (Pebax) Wave plate running between its top and bottom midsole foam layers. The difference lies in the full-length design of the rigid plate, unlike the Rider or Inspire. The Paradox’s Wave runs from under the heel and right up to the tip; under the forefoot the Wave plate has gaps but only on the lateral (outer) side. Yes, like the Wave Creation. This does no favors for flexibility, however. The medial side Wave is not split like how the lateral side is, and besides, the flex grooves on the outsole beneath does not align with the slits in the Wave Plate. 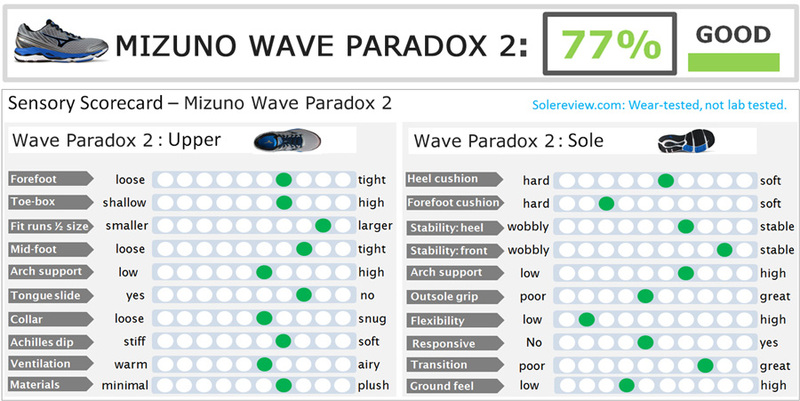 So despite Mizuno’s claims, the Paradox 2 is a very stiff shoe from heel to toe. 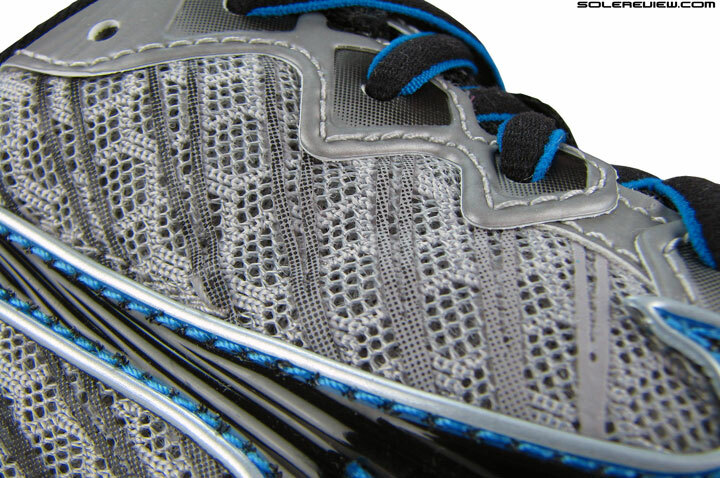 And does a longer Wave plate make the shoe more responsive? No. On the contrary, the Paradox feels less responsive than the Inspire. The heel has more foam than the Inspire, which makes the rearfoot feel more padded, and in the process tones down the responsive snap of the Wave plate. In the front, the Wave is nothing more than a flat plastic sheet which does nothing to aid responsive behavior. And mind you, the forefoot design also makes the Paradox firmer in the front when compared to the Inspire 12 or Rider 19. What’s also missing in the Paradox is the lower-to-the-ground, planted feel of the Inspire 12’s forefoot. This is due to the Inspire 12’s combination of lower stack heights plus the foam-only forefoot with a wide flare. Is the Paradox cushioned? Yes, under the heel it is. There’s more foam than Wave, so responsive this one is not. In addition to the insole, the foam lasting adds cushioning softness too. A responsive ride is not you should buy the Paradox for. You should get it if you want a firmer feel than the Inspire or Rider. You should get it if you like slightly more foam cushioning under the heel. You should consider the Paradox if you like your transitions to feel a bit more smoother, for the Paradox uses a full contact outsole. On both the Inspire and Rider 19, the Wave plate stops short at the midfoot and doubles up as a plastic shank. 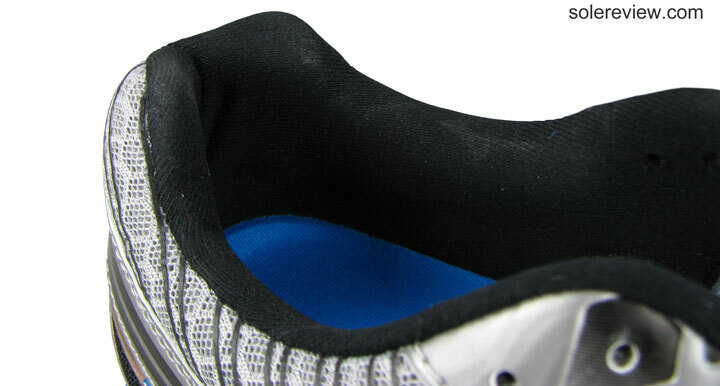 This leaves a gap below the midfoot as far as the outsole is concerned. 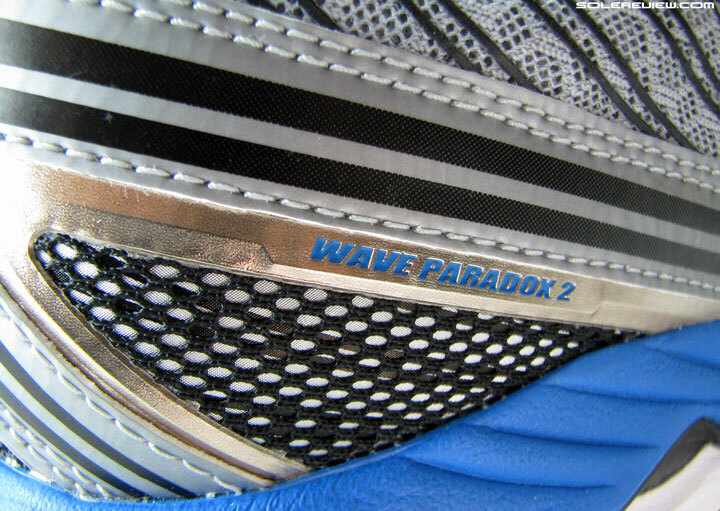 In contrast, the Paradox 2’s outsole continues unbroken under the midfoot, and so does the full length Wave plate. In absence of a midfoot shank, the outsole takes on a full contact layout. Happy transitions. 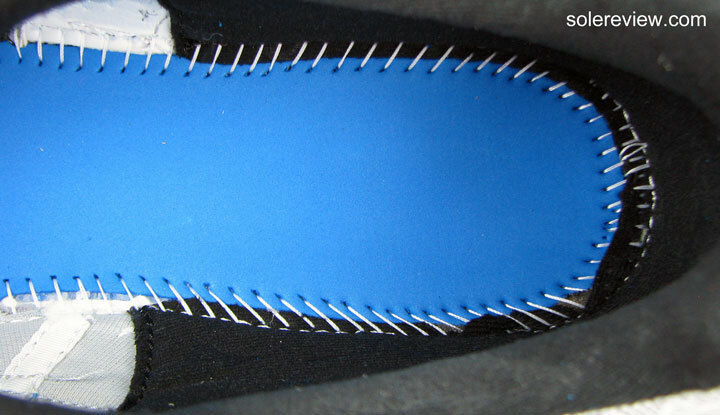 Mizuno’s trademark insole plushness pictured here. 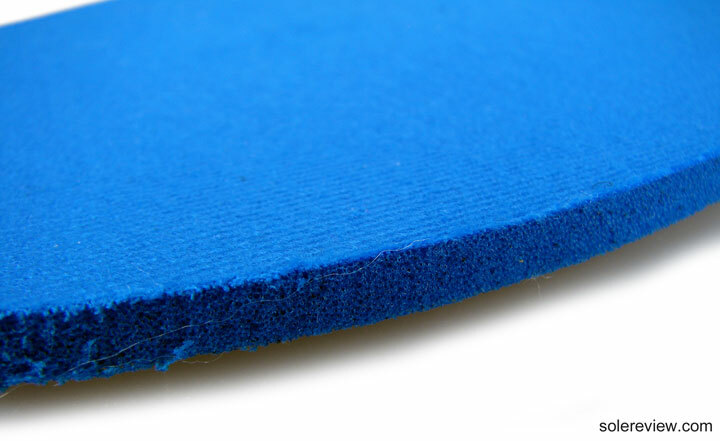 Blown foam topped over with a smooth, luxurious fabric. Resultantly, transitions are great. The Wave plate works in concert with the full contact outsole to produce a consistent ride, which holds true for both the sense of support and cushioning. The luxurious sockliner, a hallmark of most Mizuno shoes, provides a soft top layer, and the relatively firm U4ic EVA midsole creates a uniform feel under it. Softer blown rubber under the forefoot. The rearfoot has harder (and noisy) rubber, but with a caveat. 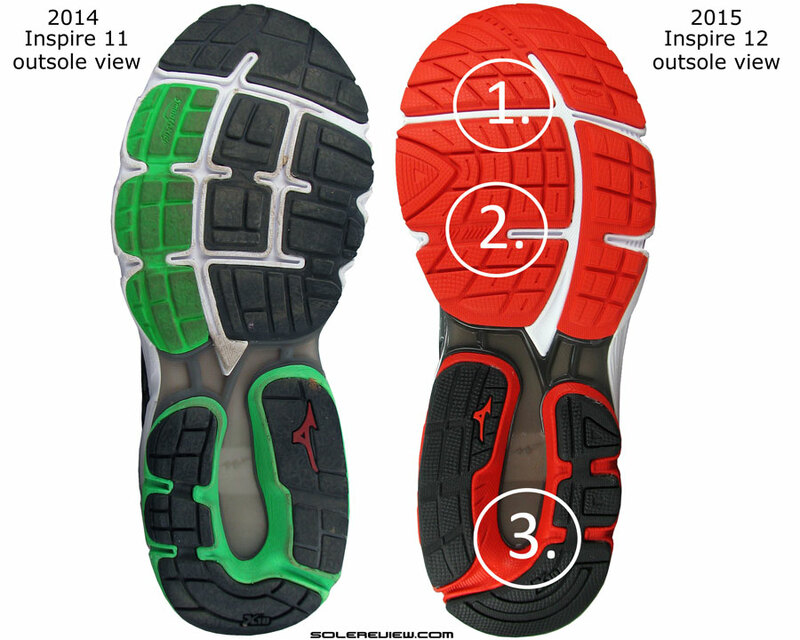 The lateral side (bottom) is harder than the medial outsole (top), which is softer. 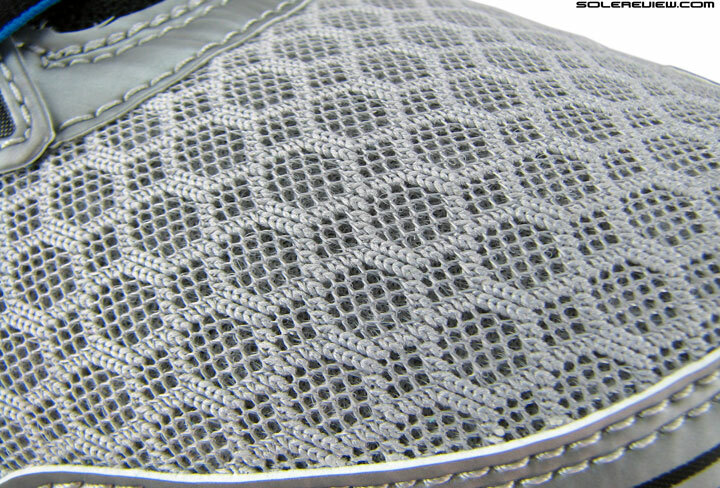 Outsole design helps the cushioning aspect too. The forefoot is softer blown rubber, taking the edge off footstrikes and transitions depending on how you land. Interestingly, the medial heel outsole rubber is softer and thinner than the lateral piece, which happens to be hard and somewhat noisy. The upside is durability, naturally. Mizunos are generally noisy, and on a hard artificial surface, at times the shoes sound like horse-hooves clattering on a cobblestone path. One of the many facets of Mizuno’s quirky character, we suppose. One more thing. Ok, make that two more. The Wave Paradox is pretty heavy. At 373/13.1 oz for a half pair of US 11, it is 10 % heavier than the Inspire 12 and 22% over the Rider 19. So while there are no flaws in its transition quality, the Paradox feels more shoe than you’d like it to be. Few shoes weigh higher than 350gm/12 oz nowadays, and the Paradox has scant regard for that threshold. So the brand’s description of the Paradox being a ‘ lightweight running shoe’ is misleading to say the least. Over distances of 10K+, the Paradox does make its bulk felt. 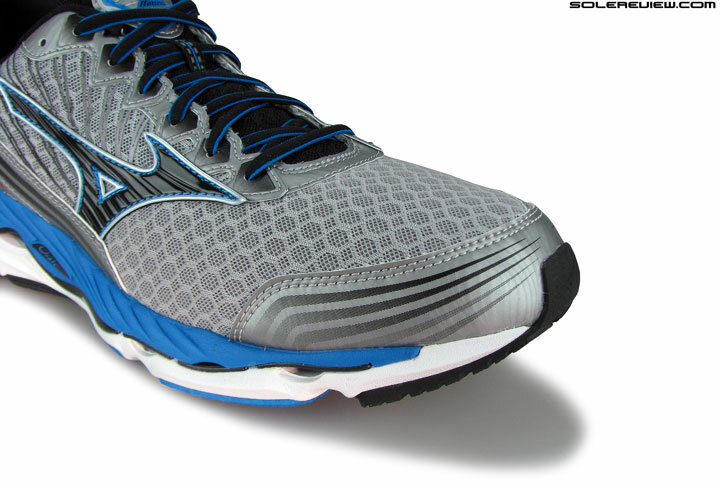 Even if you’re ok with Mizuno’s firm ride, the extra weight is reason enough to consider the lower rung Inspire 12, which incidentally feels more cushioned under the forefoot. And faster. 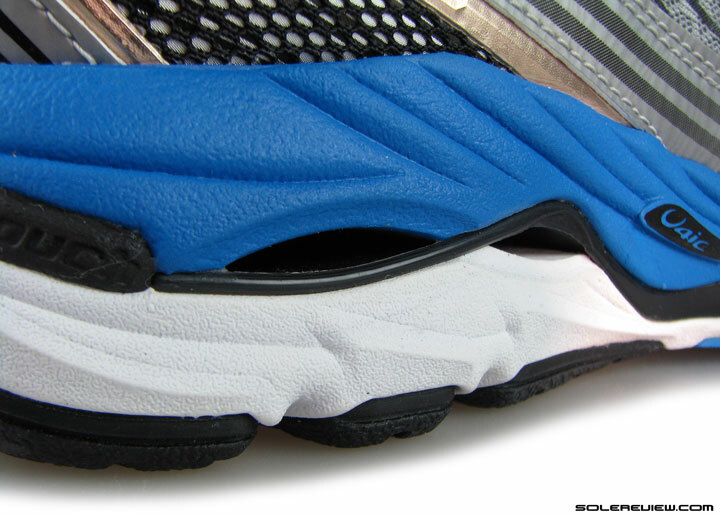 We’ve noticed that Mizuno shoes with larger Wave units (Creation, Prophecy) have this plasticky odor. Coming to the second peeve. Mizuno Wave models – particularly those ones with larger Wave units like the Prophecy and the Creation – have this acrid, industrial smell to them. The bigger the Wave cushioning system, stronger the smell, so this could mean that Mizuno uses some kind of strong solvent based glue to keep the Wave firmly bonded to the foam midsole. Conversely, on smaller Wave models, one just gets a faint whiff of this olfactory unpleasantness. Lots of layering on the midfoot. Seen here are the Urethane welds on upper and lower midfoot. The heel has a solid counter inside. On the outside, a mix of decorative mesh, metallic TPU and stitched-on synthetic team up together. The Paradox 2’s upper also has to justify the $135 sticker, so the shoe comes with extra layering. The midfoot is covered with welded urethane patterns, and there’s extra synthetic at the base of the midfoot. At the rear, a urethane frame takes on metallic hues, flanked by mesh and synthetic detailing. One lining. Many Mizuno logos. Soft, rounded laces which feel nice to cinch. Reflective tongue loop. 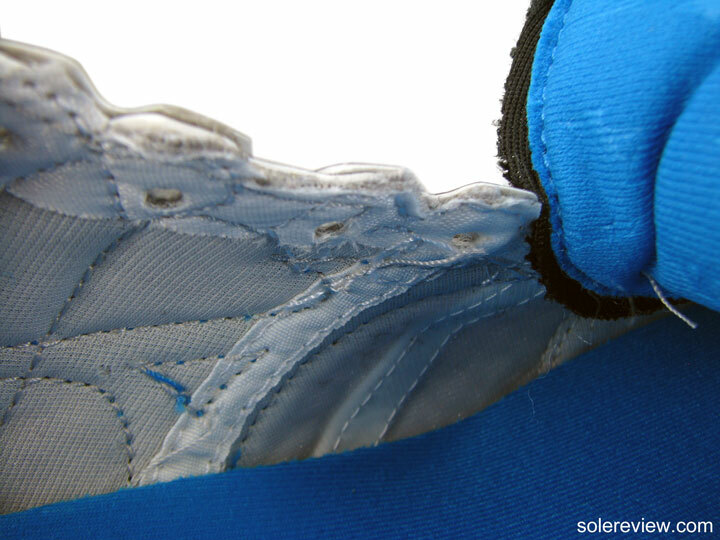 The mesh, the tongue and collar padding+lining is very similar to what you’ll find on most Mizuno’s. 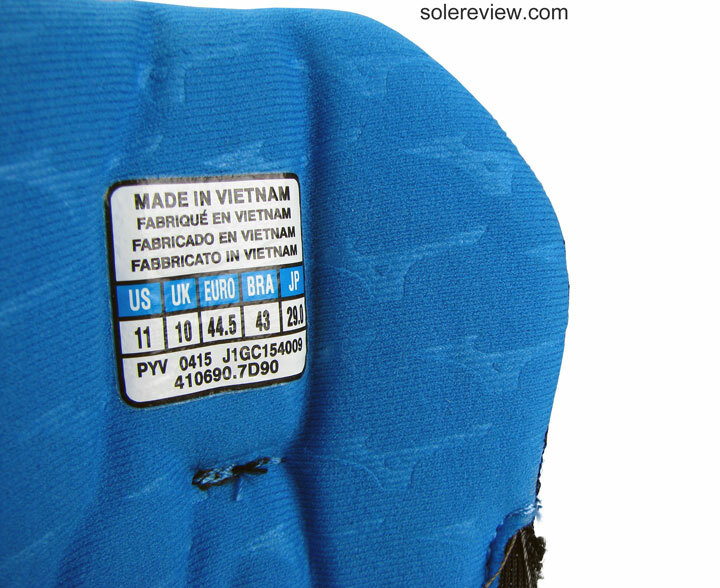 A textile lining with tens of small ‘Runbird’ logos embossed, and some amount of foam fill inside the collar and tongue. Lacing is round and soft, which feels similar to the Inspire 12 kind. This is an across the board improvement for 2016 Mizunos, because last year’s models came with some really stiff laces. Standard Mizuno style, no sleeve. But a broad flap design means less slide sideways. The tongue is wide and unsleeved – the extra width is a trick which Mizuno uses to keep the tongue from sliding sideways. And as on other Mizunos, it works. Except for a minor amount of movement, the tongue stays more or less centered. The wide flap means no gap on either sides for the tongue to slide into – and that’s what restricts the extent of movement. The insides of the upper – busy, very busy. 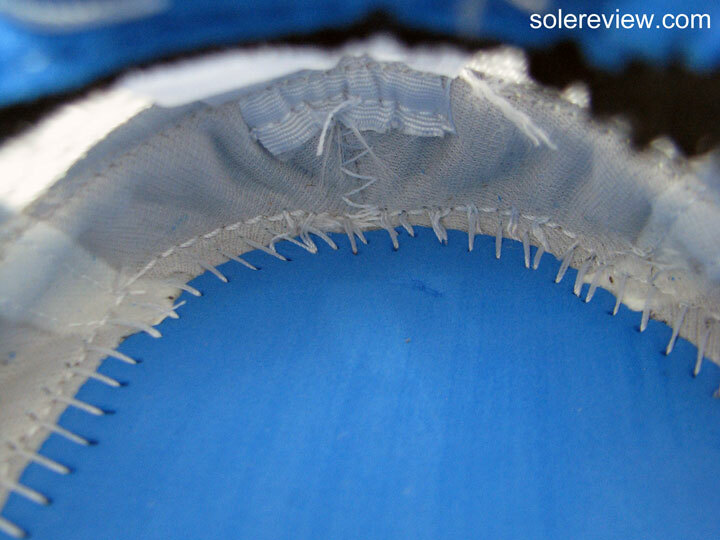 Inner seam makes midfoot snug, but does not irritate. There’s enough tongue padding to go around. Lots of layering over the upper. Let’s see… molded logo, synthetic leather, the urethane welds. Inside, the Paradox has quite a bit of layering lining the midfoot. Twin stitched tapes line up either sides, acting as support structures. This makes the midfoot very snug in fit, more so than the Inspire 12. Unlike some of other Mizuno models with this construction, the inner tapes does not irritate the foot, thankfully. 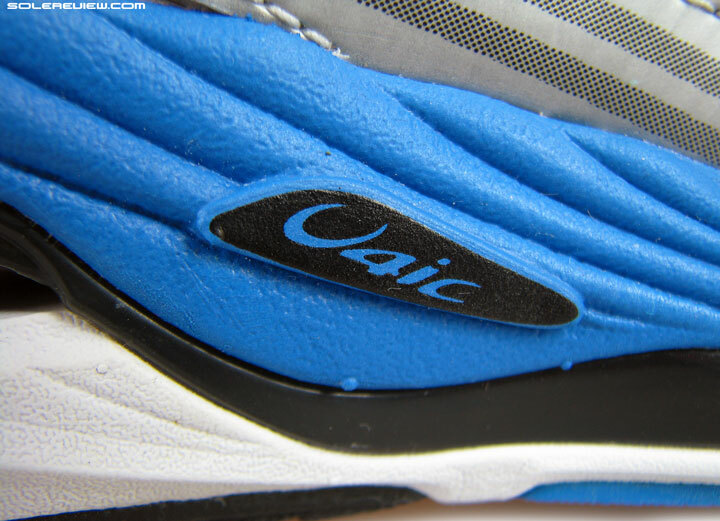 The tongue is reasonably padded too, insulating the top-down lacing pressure effectively. The forefoot is also narrower than the Inspire and Rider. The narrowness is more noticeable on the side of the medial/inner side of the upper. That said, the toe-box actually turns out to be spacious. Vertical toe-box room? Plenty. The Raised toe bumper makes sure of that. There’s a healthy margin ahead of the toes. Spacer mesh bears resemblance to what’s found on other Mizunos. There is a synthetic toe-bumper which creates ample space ahead and above the toes; yet as you move towards the midfoot the upper progressively gets tighter. The forefoot is snug, because the midsole doesn’t flare out as much as it did on the Inspire 12. The toe-box is roomy, but the forefoot is snug, and herein lies another paradox. This has to do not so much with the Paradox 2’s upper, but rather the midsole design. You see, the Inspire 12’s midsole had a much wider flare compared to the Paradox. This helped create more room inside the upper. Probably due to how the Wave plate is sandwiched inside, the Paradox has a slimmer forefoot profile than the Rider-Inspire duo, impacting the space available above the midsole. The upper collar? Decent grip, and standard Mizuno materials all around. The toe-tip is reflective, and the tongue loop shows its night colors too. The heel collar grips well. 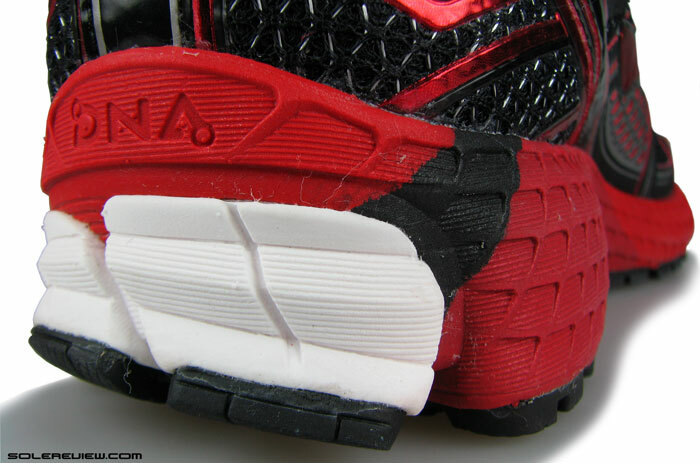 The hard, molded stiffener makes the heel fit rather snug, and though this isn’t great for runners with sensitive Achilles, there are no flaws with regards to the grip quality. 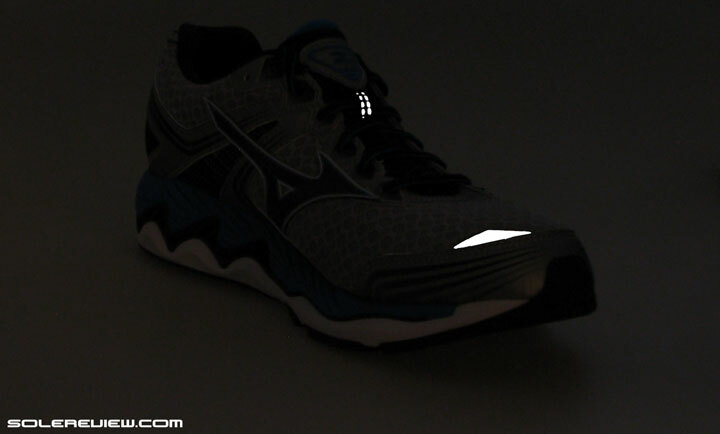 There’s a tiny reflective run-bird logo on the heel, which works in concert with a couple of other bits to deliver a reasonable amount of low-light visibility. 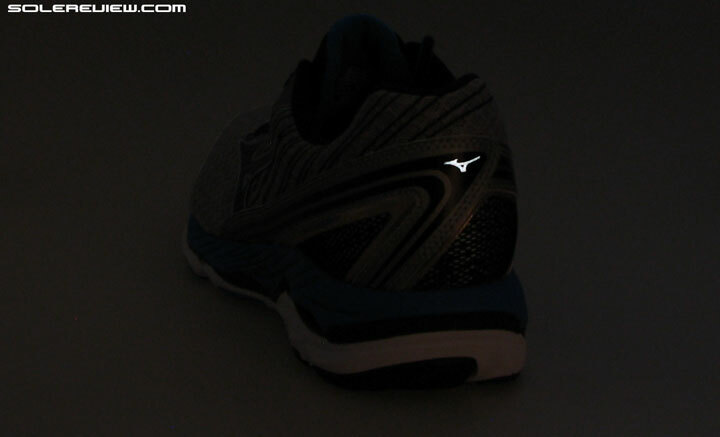 Mizuno calls the shoe a ‘Paradox’ because of how it is supposed to blend lightweight and stability. But we know that’s not true. The shoe might be stable, but packs a lot of weight below its mesh and synthetic veneer. The way we see it, the Paradox can be called so because of its duality. You could view it as a bigger brother of both the Wider 19 (neutral) and Inspire 12 (support), because it has none of the skewed ride (soft outer side and firmer inner side) which happens to be a marker of traditional support shoes. This is a Mizuno you should get for your daily runs if you’ve grown weary of all the running shoe softness around you, and crave for a firm and supportive ride. 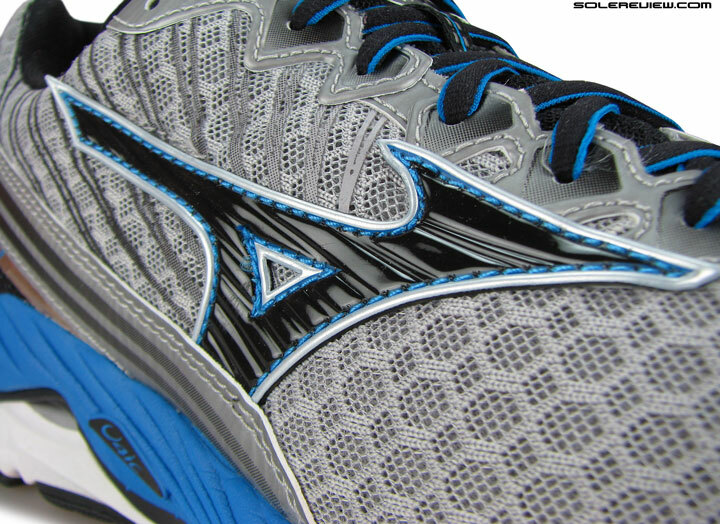 That said, the heel has more cushioning than a typical Mizuno, and somewhat contradicted by a stiff forefoot. Ah, the paradox of it all. Great review, thanks. Doesn’t seem like these will tempt me back to Mizuno (my last pair were Wave Nirvana 4) – I like forefoot flexibility, with my early-stage pronation control. Forget it. Nirvana is one shoe, paradox is a complete different another. I have paradox 1 and it feels like running into sand, feels like an entry level shoe. Go try prophecy, they released the 5 one. It is as good as the nirvana, i had the 8 and 9. As I said, I am an early stage over-pronator, so the Prophecy doesn’t work for me. Sure, it’s stable for a neutral shoe, but it isn’t supportive enough for me. Thx. Great review, sadly these newer Mizunos are not for me. Too firm and narrow in the forefoot and too heavy & heel centric. But I still wonder how the Paradox 2 fairs in comparison to the Enigma 5. Enigma should be more neutral but similar in weight and plushness. Thanks a lot for a great review! I collapse medially on my heel (like an early strike arch collapse) and currently use orthotics for that reason. I thus need stability in the heel, but also a tight heel and wide forefoot fit (typically 4E, but with these Mizunos 2E works). Finally, I like a relatively stiff midsole. Right now I’m using Gel Kayano 22 but the heel is very unstable in these (as you note in your review)… Both Mizuno Paradox 2 and Inspire 12 fit my feet well and I’m considering one of them. Any recommendation on which one would be more supportive for my collapsing heel/arch? Every foot is shaped differently, so not sure 100% which of the shoe will work for you. But out of the two, the Paradox 2 sounds like the better choice. Glad to see the roadrunner and zappos links. Hope this helps your economics.